Google, Facebook, Amazon and Uber are among the 56 companies who have signed onto a letter denouncing President Donald Trump's plan to define gender by a person's genitalia at birth, a move which would have the chilling effect of excluding transgender people from protections in existing federal civil rights law. According to the Human Rights Campaign (HRC), which co-organized the letter, the companies jointly employ more than 4.8 million workers. “Transgender people are our beloved family members and friends, and our valued team members. What harms transgender people harms our companies. 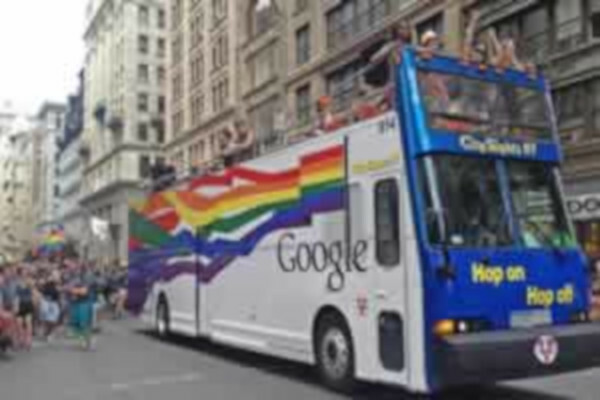 We call for respect and transparency in policy-making, and for equality under the law for transgender people,” the companies said. HRC and Out Leadership, an LGBT business group, lead the effort for the statement. Companies that signed the statement include Accenture, Adobe Systems Inc., Airbnb, Altria Group, Amalgamated Bank, Amazon, American Airlines, Apple, Automatic Data Processing Inc. (ADP), Bank of America Merrill Lynch, Ben & Jerry’s Homemade, BNY Mellon, Cargill, Cisco Systems Inc., Citi, Clifford Chance, The Coca Cola Company, Corning Incorporated, Corteva Agriscience™, the Agriculture Division of DowDuPont, The Dow Chemical Company, Deutsche Bank, E. I. du Pont de Nemours and Company, Facebook, Fastly, Inc., Google, Hogan Lovells International LLP, HSBC, IBM Corporation, Intel Corporation, Intuit Inc., Iron Mountain, JPMorgan Chase & Co., Levi Strauss & Co., LinkedIn, Lush Handmade Cosmetics, Lyft, Marriott International, MassMutual, MGM Resorts International, Microsoft Corp., Nike, Inc., PepsiCo, Replacements, Ltd., Ropes & Gray, Royal Bank of Canada, S&P Global, Salesforce, Sheppard Mullin, Sodexo Inc., Splunk, State Street Corporation, TiVo Corporation, Trillium Asset Management, Twitter Inc., Uber and Warby Parker. LGBT organizations that helped secure corporate signatories include Athlete Ally, Freedom for All Americans, GLAAD, GLSEN, Lambda Legal, National Center for Transgender Equality, National LGBT Chamber of Commerce, National LGBTQ Task Force, Out & Equal, PFLAG National, The Trevor Project and the Transgender Legal Defense and Education Fund (TLDEF).